Are you dealing with broken locks? Lost keys? Lockouts? Allow our 24/7 locksmith Toronto company to help. We are here to assist all customers in need of emergency service. Whether you are in need of residential, car, or commercial services, a 24 hour locksmith will always stand by and rush out to your rescue as soon as you contact us. Let us assure you that all pros working with our company are licensed, certified, experienced, and qualified. They are committed to providing quality services and responding urgently. Get in touch with Payless Locksmith Toronto to get help now. There is always an available 24/7 locksmith in Toronto, Ontario. When you need help, remember that our staff is here day and night. We can help with any emergency and send out only fully equipped and experienced pros. They respond quickly, can handle any lock & key problem, and are equipped to do the job right. An emergency locksmith can help now. Call us. Call us if you lost the key. You need lock rekey to be sure that whoever is in possession of the original key won’t be able to enter your office or home. Did you attempt to lock the door but the key just turns without locking? An expert will come to fix the lock. If the lock cannot be fixed, it can be replaced. Trust that our company arranges for a tech to come quickly for the emergency lock change. Whenever you need assistance urgently and fear that your property’s security is either compromised or threatened, place a call to us. A pro will handle any and all problems in a jiffy. Call now for 24 hour locksmith service. Can’t find the house key? Did the office key break in the lock? Did you lock the car key inside your trunk? Call us if you need car, office, and house lockout services. Not only will a pro come quickly to unlock your door but will also be ready to handle the problem. 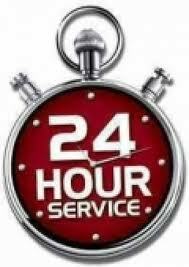 Don’t forget that a pro comes out 24/7 for your office, home, and car lockout service. Call us now. Feel free to contact us if you need more information about the services or a free quote. And keep our number. You never know when an emergency with your lock or key might arise. Be prepared to call us for a 24/7 locksmith in Toronto.